Wandering around Ipoh, we were quite confuse where we need to go. 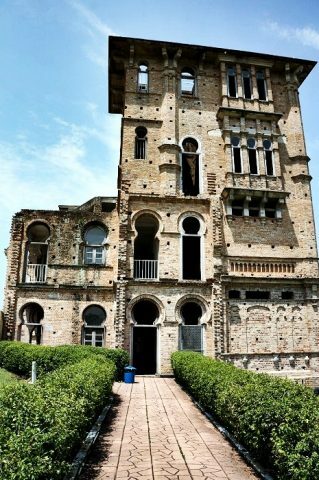 After searching for some interesting attractions, we decided to go to Kellie’s Castle. A beautiful yet unconstructed castle built by William Kellie Smith. 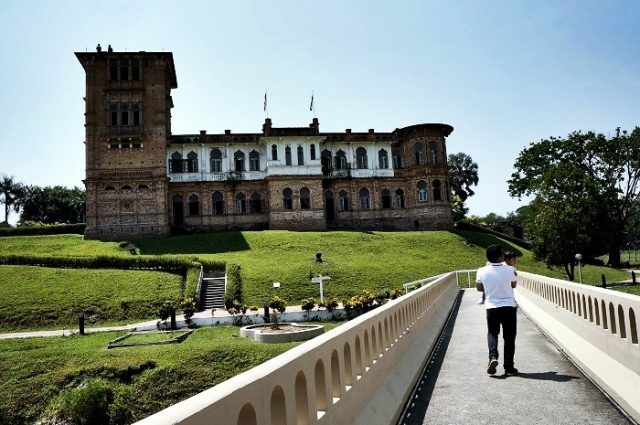 Kellie’s Castle is situated on the way to Batu Gajah town at the Kinta Kellas Rubber State. Drive for 30mins from Ipoh City, approx. 14km south. Upon your arriving, you will see a big building standing tall in front of you. They are providing a car park just outside the castle. The entrance fee is RM10 (adult) and RM8 (child 3-12 years old) for foreigner. After purchasing the tickets, we went straight to the castle. A huge bridge is ahead of us with the river on its sides. It is really a breath taking moment seeing the view from this side. I can see the whole castle surrounded with grass, flowers, river, and sky. Since we arrived around 12pm, the sun is burning us alive. And when we climbed those stairs, it is really breathe taking moment as well. Literally breathe taking. When we entered the castle, we can notice that it is not finished yet. Lots and lots of rubbles is scattered along the way. But then again, the main hall itself is already filled with a complete furniture. I also happen to see the wine cellar at the dungeon. I might say this place is quite creepy. Hmmm… no. It’s definitely very creepy. They even put on a sign that said “Ghostly Cloister Balcony”. When we were departed from the castle, we can see gift shop which sells several memorabilia of Kellies Castle. Even, you can also sit and relax at the restaurant with the majestic view of Kellies Castle just besides the gift shop. I stumbled upon a brochure when I purchase the ticket. 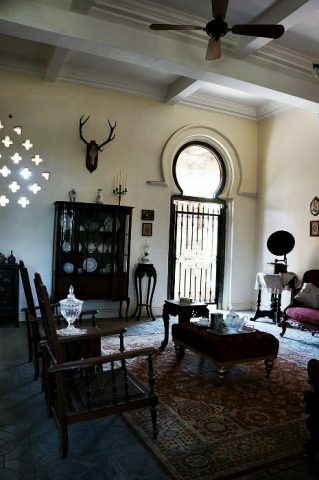 It turns out that they are also providing a “Paranormal Night Tour” for those who would like to experience Kellie’s Castle at night. Just contact them at +605-365 3381/kelliescastle1108@yahoo.com.my for more info.